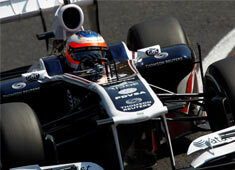 Williams ends 2011 with a 14th place finish for Rubens Barrichello in today’s Brazilian Grand Prix. While running in 16th from 18th on the grid, Pastor was put out of contention after an unrecoverable spin. Rubens drove a consistent race on a three stop strategy to conclude an impressive weekend on track. He also closes the season with a new landmark in his sporting history having reached 50,000 raced miles, done in front of his home crowd. Pastor Maldonado’s race, meanwhile, was cut short on lap 26. Rubens had a difficult start which cost him a number of positions. We then changed his planned two stop strategy to a three as we were experiencing higher tyre wear than expected. Rubens continued to push hard to finish in P14, having held Schumacher off for the last few laps of the race. Pastor ran wide in turn 6/7 on lap 26 and had to stop having damaged the car. Rubens and Pastor fought hard today but ultimately did not have the pace to finish in the points. I’d like to thank the team for all their efforts this season. We thought it was going to rain today so we were running a long first gear. I started at the bottom of the hill, and as it was a dry start, I slipped back. It was a fun race but we don’t have a car that can finish in the points just yet. I want to thank the team for all their hard work this year. We have had a tough season but we’ve pushed together. There’s been a lot of talk over the weekend, but I believe I will be back again next season. I had a good start until I lost position fighting for space on track. Our overall pace during the race was fine, but the rear wing setting slightly held us back on the long straight. My retirement came after I passed Senna on lap 26. The car had too much oversteer and I just lost control of it.